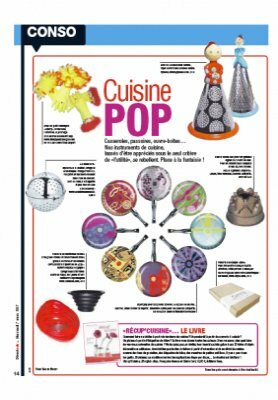 Pop Cuisine! Colorful Diva Dish Gloves featured in the March 7, 2007 issue of France's Direct Soir. Click on the links below to see photos of my Diva Dish Gloves as used in the New Zealand TV Show, How Clean Is Your House? As seen on NZ TV: How Clean Is Your House? Seasons one and two.